Croatia’s performance was considered an outstanding achievement for an underdog team from a small Balkan country with a population of four million. But in less than 24 hours after their final match in Moscow, Croatia found itself divided over the country’s past. 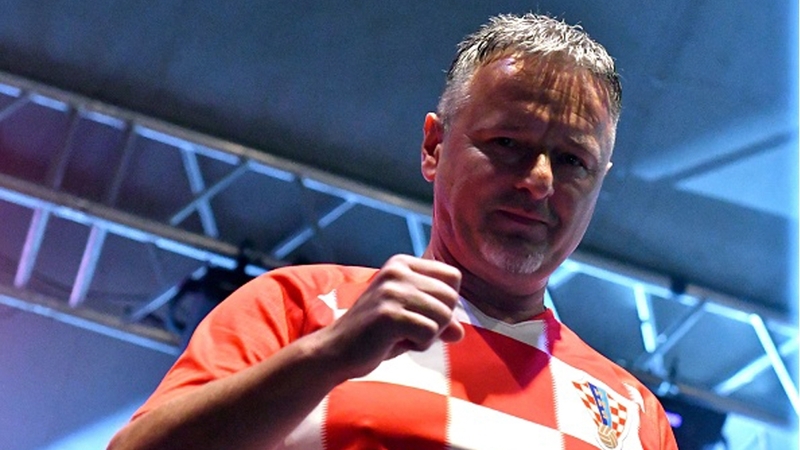 The euphoric atmosphere turned sour for some as nationalist singer Marko Perkovic “Thompson” performed on stage during the parade in Zagreb, invited by Croatia’s football team. 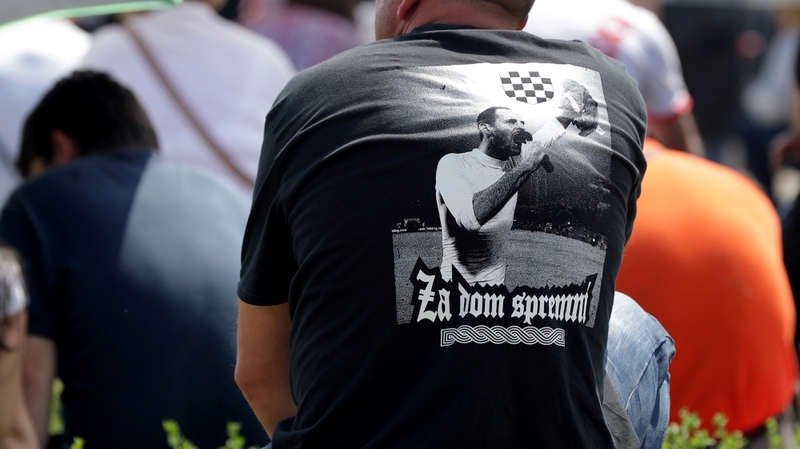 Many of his songs glorify Croatia’s Ustasha regime, one of which opens with “Za dom spremni!”, translated as “Ready for homeland!”, the Ustasha equivalent of the “Sieg Heil” Nazi salute. Critics said Croatia’s World Cup celebration was ruined with the inclusion of Thompson, a fascist sympathiser seen as a spokesperson for the extreme right. Following his performance in Zagreb and subsequently in Livno, Bosnia & Herzegovina, observers noted that Thompson is emblematic of a deeper problem related to Croatia’s World War II revisionism and glorification of the Utsashe, due to which Croatia has made little progress in coming to terms with its fascist past. Others, however, have defended Thompson, saying that he’s a patriot who sings about loving the homeland. Croatian historian Ivo Goldstein said those who attend Thompson’s concerts do not necessarily view themselves as right-wing. “Thompson has outgrown his position as a carrier of ‘hot, offensive counterculture’ [as he was once called]. He has become part of the mainstream in Croatia,” Goldstein wrote in Croatian news magazine Globus. Efraim Zuroff, director of the Simon Wiesenthal Centre, a Jewish human rights organisation, has been warning about the rise of Croatia’s “fascist nostalgia” for years. The centre regularly condemns the apparent acceptance of fascist ideology; in 2016 it blasted a plaque installed near the Jasenovac concentration camp with the “Ready for homeland!” slogan inscribed. On Thompson, the singer, Zurroff told Al Jazeera that there is “no question” Thompson is a fascist sympathiser. “It’s not an accident that people show up at his concerts sporting Ustasha paraphernalia, symbols, uniforms, et cetera, and the text of many of the songs [speak about] nostalgia for Ustashe … Jasenovac,” he said. But for current Croatian President Kolinda Grabar-Kitarovic, a media sensation who won over the hearts of football fans during the World Cup, there is no cause for concern regarding Thompson’s performance. In an interview for Deutsche Welle in late July, she said that she “listens and loves” some of Thompson’s songs, claiming they are “good for national unity”. “Frankly, these [controversial] songs of his that are mentioned and quoted on various websites, I have never heard of them, nor have I seen any evidence that they exist,” Grabar-Kitarovic said. Her office reportedly shrugged off the incident, saying there was “nothing questionable” about it. Last September, she told a TV station that “Ready for homeland” salute is “an old Croatian greeting which had unfortunately been compromised” by the Ustasha – a claim historians dismiss. “After World War II, many Croatians sought and found indeed in Argentina the space of freedom where they were able to prove their patriotism,” Grabar-Kitarovic said at the meeting. He believes Croatia’s leaders need to send a clear message that the Ustasha’s actions were horrific. “That is not in the case with this president,” Zuroff said. The European Commission against Racism and Intolerance was “deeply concerned that hate speech, particularly that linked to nostalgia for the Ustasha regime, is mostly observed among young people”, the report stated. Its research was based on a survey of young people aged between 16 and 25, suggesting that a “breeding ground for populism” exists among the youth. “The driving force is no longer professional academics [as was the case during earlier revisionism under first Croatian President Franjo Tudjman in the 1990s], but popular quasi-historians and journalists who have rebranded themselves as researchers set up their own NGOs and appear frequently on TV,” he told Al Jazeera. “The educational system needs to teach these subjects of Holocaust and the mass genocide of the Serbs,” he added “It has to be clear to everyone that these are terrible crimes which can’t be repeated. “There are many people in Croatia who are anti-fascist, whose roots are people who were in the Partisans who fought against the Ustasha … there are many people who are against what’s going on but apparently not enough of them. Previous articleTransgender students asked Betsy DeVos for help. Here’s what happened.